Video content for your website? Still not using video content for your website? Video content is now commonly placed within a company’s online marketing efforts, but if you think that video content is only for social media channels, you are mistaken! There are plenty of benefits that you are missing out on if you are not using video content on your website. Video can be adapted to any kind of topic, subject or business and can be the difference in a bounced visit or one that converts. 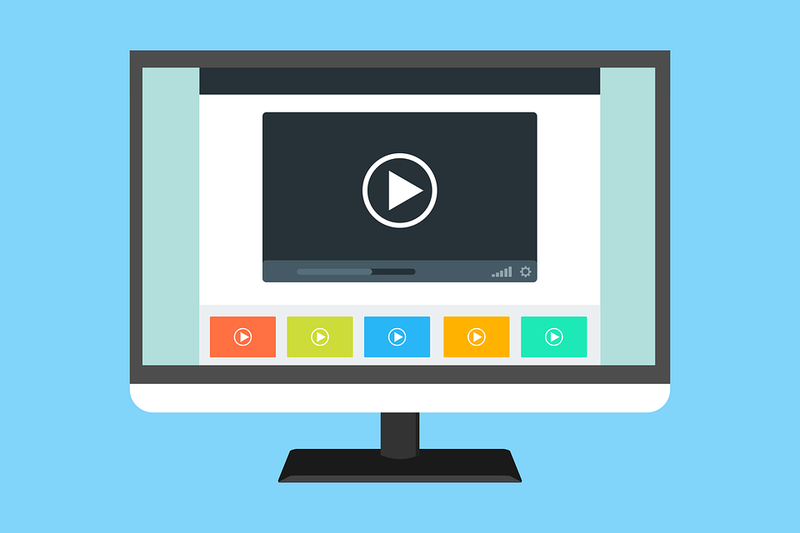 It can help you educate your audience on your products or service and studies have shown that those visitors who do choose to watch a product video are more likely to complete the purchase process. One of the biggest benefits of using video content is the impact that it can have on search results. Google can pick up signals like keywords used in the description of your videos and if your video does get ranked, this can help take over more real-estate on the search engine result. Websites that incorporate video content as part of their marketing strategy have a 41% more search traffic than regular websites, according to the Aberdeen study, it also makes good content for social media, videos are shared 12x more on Facebook than text or link posts and videos on YouTube get 1.5x more engagement levels than TV. 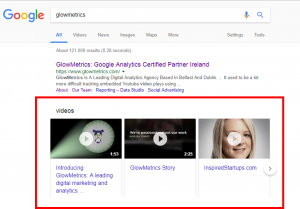 The Google search engine results page often shows blended results- mixing search and video, but if we consider that video content can make up some of the top rankings in the search engine result page, shouldn’t it also be an important part of your SEO strategy? People are now also able to engage with and respond to media. Because of this, the topic and content of your videos is very important – you’ll need to figure out what your audience wants to see. Videos on your website increases average visitor duration by 2 mins – make sure you’re making the best of this opportunity to convert traffic into potential leads. While video’s ability to bring in more clicks and increase leads is impressive, it also positively affects customers buying decisions and behaviour. It’s been proven that ecommerce sites that include video in their product descriptions are more likely to have a higher conversion rate. Unbounce reported a 100% increase in conversions with help of a video. Webprofits added a video to the landing page and witnessed an increase in conversion rate by 16.4% at a 90% confidence rate. ConversionXL shared a case study to show a video on the landing page helped boost conversion rates by 79.3%. A study by Animoto showed 96% of respondents said videos were helpful when making buying decisions online. Video can bring success to your content marketing strategy, we know that creating video content takes more time and money but results can prove it was worth the investment.